Is there such a thing as a BRICS foreign policy? The quick and easy answer is “no.” At this point the BRICS do not have a unified and foreign policy agenda. However, the members find much common ground around the issues non-inference in the affairs of sovereign states, that the rule of international law should apply to all, and the use of force against a member of the international community should have the sanction beyond what is called the “Washington Consensus”. Russia’s view on Syria embraces all these tenets and encompasses a BRICS-like foreign policy approach. Over the past two years we have been repeatedly reminded of “red lines”, as expressed by Washington, Tel Aviv, and European capitals when it comes to the crisis in Syria. What is lost in all of this is how Syria itself is a “red line” for international law and yet another example of how forced regime change pursued by outside powers is a dangerous exercise of the law of unintended consequences. In the case of Syria, the regime of Syrian President Bashar al-Assad in Damascus is given warnings – sometimes in the most vague terms – of certain consequences of specific actions. The use of chemical weapons is the most outstanding “red line”. If Assad uses chemical weapons, we are told the West and its allies, particularly Israel, can do whatever they deem necessary against Assad (regardless of international law). The only notable and evidential use of Syrian chemical weapons points to anti-regime rebels. Apparently, if rebels use chemical weapons, western-Israeli ‘red lines’ do not apply. Then there is the issue of legitimate self-defence. Like Assad or not, he is the international recognised leader of Syria and he has every right to protect the sovereignty of his country. This is a policy area the BRICS and most of the world feel very strongly about. Russia has a history of selling weapons to Syria – all legal and sanctioned by internationally accepted contracts. Russia’s commitment to remain within the bounds of the law is at the centre of its relationship with Syria and other countries in the region. Israel’s threat to intercept and apply force against Russian vessels carrying weapons bound to Syria in international waters is illegal under international law. Though this is not a “red line” for any one in Washington and Brussels. Israel’s bombing of Syria is done with impunity. If a non-NATO country or a country not in sync with the “Washington consensus” committed such an act of naked aggression it would be considered a casus belli. If anyone of the BRICS attacked another country without warning while not at war with that country, the “Washington Consensus” would bristle with words of condemnation. There are other double standards. This is at the same time the EU voted not to renew an arms embargo on Syria. Now independent EU governments can provide arms to groups in Syria as they please (though providing arms to non-state actors is itself illegal under international law). We are probably witnessing the worse international crisis since the end of the Cold War and Syria is the epicentre. Sides have been taken. The US, the EU (for the most part), Israel, Turkey and Saudi Arabia (and its Gulf allies) demand regime change. Additionally, whether they admit it or not, they back the Sunni from all over the region fighting Assad. Syria is the battlefield for this sectarian war. Does the West understand that it is a powerful enabler to a sectarian conflict that could last decades and result blow-back as we have witnessed in Boston and London. Does it understand that it is enabling some of the worst elements of radicalism that is so fundamentally alien to the vast majority of Muslims? Add to this the unwillingness of Russia and other countries to allow the West to once again determine who has the right to rule. The US and is allies have destroyed Afghanistan, Iraq, and Libya. A better representation of international opinion (read: non-western countries like the BRICS) does not want to see Syria fall as the next victim of illegal regime change. 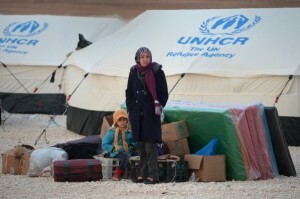 For the Syrian people what is happening in their country is now all about survival. 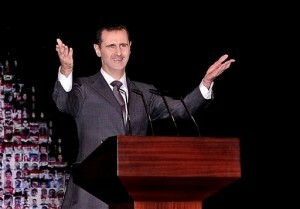 The more outside powers involve themselves against Assad, the worse the situation becomes. Though beyond this horrific tragedy being played out on the ground is the hubris of others. Syria is also an epitome of how the West continues to hijack and mismanage the global political order. The West and its allies claim the right to define a “red line” when it suits a geopolitical purpose and at the expense of international law. This is why Syria is a “red line” all of its own. Countries like Brazil, Russia, India, China and South Africa simply will no longer idly watch a country be torn to pieces and a region dangerously destabilized. This is the beginning of a meaningful BRICS foreign policy. The views expressed in this article are the author’s (Peter Lavelle) own and do not necessarily reflect the publisher’s editorial policy. BRICS view: The “red line” called Syria.